Shopping over the holidays in my hometown, I couldn’t help but check out a cupcakery I happened upon. My grandmother assisted with tasting. 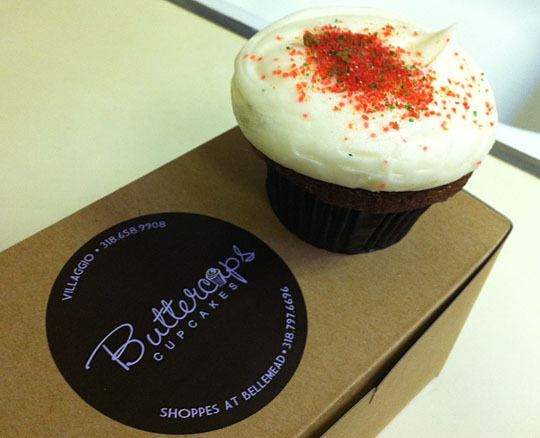 Buttercups at the Shoppes at Bellemead, the bakery’s second location, opened about a year ago. This is where I was shopping when I spotted frosting and sprinkles! 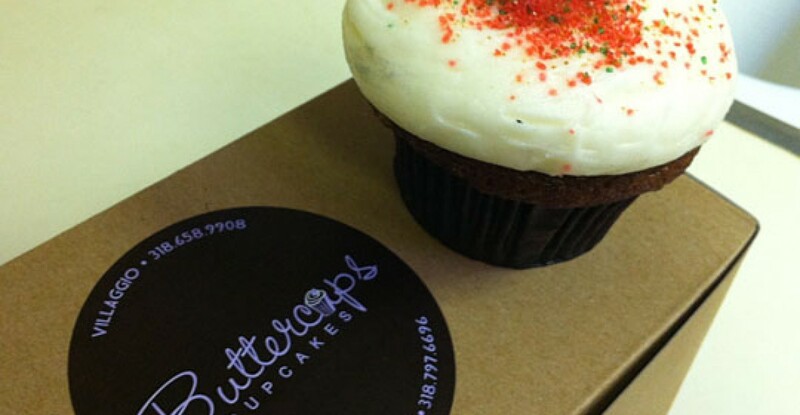 The original Buttercups is located in Bossier in The Villaggio (1115 Villaggio Blvd., Bossier City). 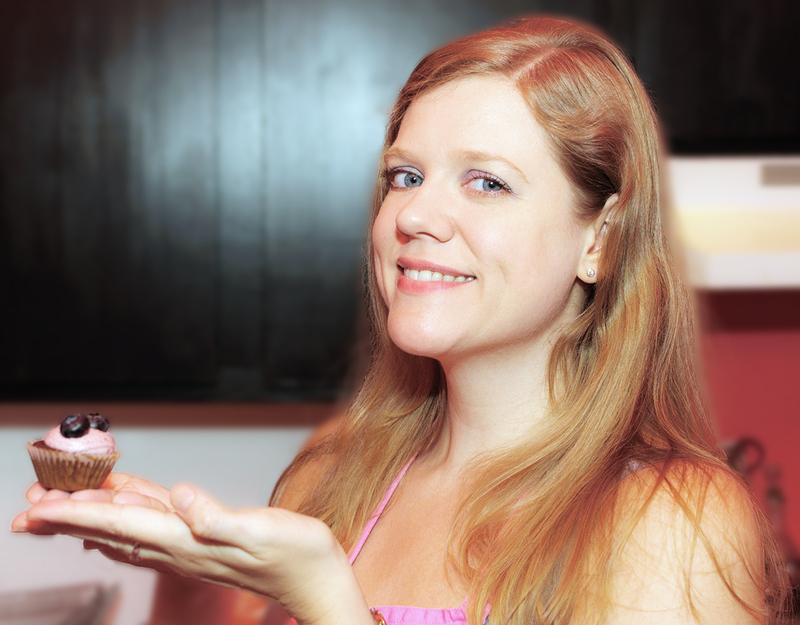 As it was Christmastime, I chose the seasonal gingerbread cupcake first. I hadn’t yet done my research, so I didn’t try the red velvet. You see, Kim Wood and Mary Craig of Buttercups were on season two of the Food Network’s Cupcake Wars (episode 10, if you want to check it out). Though they didn’t win overall, they were voted the best red velvet cupcake. 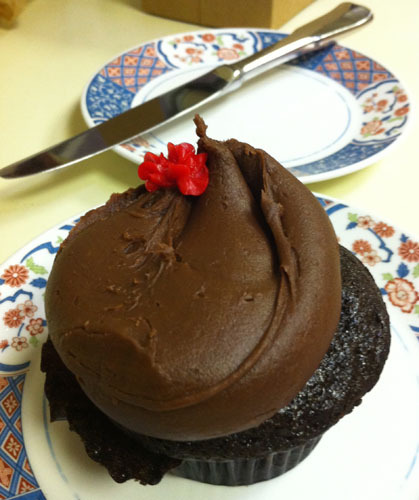 I settled on the most chocolately I could get for my second cupcake, and I was quite satisfied with my choice. I had them boxed up, and I brought them to my grandmother, an expert on both chocolate and gingerbread. Both cupcakes got her stamp of approval. “I never do this, but…” said my grandmother, as she ate up the crumbs that had fallen on her (very clean) counter!